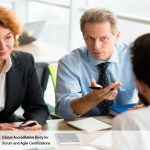 Are there any popular HR theories relevant to Scrum? Yes! There are a number of HR theories that are useful in an organization that applies Scrum. The following is a discussion on some popular HR theories relevant to Scrum. The Scrum approach and method may initially seem quite different and difficult for a new Scrum Team. A new Scrum Team, like any other new team, generally evolves through a four-stage process during its first Scrum project. This process is known as Tuckman’s Model of group dynamics (Tuckman, 1965). The main idea is that the four stages—Forming, Storming, Norming and Performing—are imperative for a team to develop by mitigating problems and challenges, finding solutions, planning work, and delivering results. Forming—This is often experienced as a fun stage because everything is new and the team has not yet encountered any difficulties with the project. Storming—During this stage, the team tries to accomplish the work; however, power struggles may occur, and there is often chaos or confusion among team members. Norming—This is when the team begins to mature, sort out their internal differences, and find solutions to work together. It is considered a period of adjustment. Performing—During this stage, the team becomes its most cohesive, and it operates at its highest level in terms of performance. The members have evolved into an efficient team of peer professionals who are consistently productive. 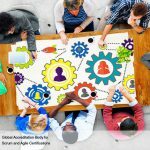 Organizations applying the Scrum framework encourage an open environment and dialogue among employees. Conflicts among Scrum team members are generally resolved independently, with little or no involvement from management or others outside the Scrum Team. Conflict can be healthy when it promotes team discussions and encourages debates, as this usually results in benefits for the project and the respective team members. It is therefore important that the resolution of conflicts be encouraged, promoting an open environment where team members feel welcome to express their opinions and concerns with each other and about the project, and ultimately agree on what is to be delivered and how the work in each Sprint will be performed. Conflict management techniques are used by team members to manage any conflicts that arise during a Scrum project. Sources of conflict evolve primarily due to schedules, priorities, resources, reporting hierarchy, technical issues, procedures, personality, and costs. It is usually best for team members to face problems directly with a cooperative attitude and an open dialogue to work through any disagreements to reach consensus. This approach is called Win-Win. Organizations implementing Scrum should promote an environment where employees feel comfortable to openly discuss and confront problems or issues and work through them to reach Win/Win outcomes. Some team members may at times feel that their contributions are not being recognized or valued by others, or that they are not being treated equally. This may lead them to withdraw from contributing effectively to the project and agree to whatever they are being told to do, even if they are in disagreement. This approach is called Lose/Win. This situation may happen if there are members in the team (including managers) who use an authoritative or directive style of issuing orders and/or do not treat all team members equally. This approach is not a desired conflict management technique for Scrum projects, since active contribution of every member of the team is mandatory for successful completion of each Sprint. The Scrum Master should encourage the involvement of any team members who appear to be withdrawing from conflict situations. For example, it is important for all team members to speak and contribute at each Daily Standup Meeting so that any issues or impediments can be made known and managed effectively. In conflict situations, team members may attempt to bargain or search for solutions that bring only a partial degree or temporary measure of satisfaction to the parties in a dispute. This situation could happen in Scrum Teams where team members try to negotiate for suboptimal solutions to a problem. This approach typically involves some “give and take” to satisfy every team member—instead of trying to solve the actual problem. This generally results in an overall Lose-Lose outcome for the individuals involved and consequently the project. The Scrum Team should be careful to ensure that team members do not get into a Lose/Lose mentality. Scrum Daily Standup and other Scrum meetings are conducted to ensure that actual problems get solved through mutual discussions. At times, a Scrum Master or another influential team member may believe he/she is a de facto leader or manager and try to exert their viewpoint at the expense of the viewpoints of others. This conflict management technique is often characterized by competitiveness and typically results in a Win-Lose outcome. This approach is not recommended when working on Scrum projects, because Scrum Teams are by nature self-organized and empowered, with no one person having true authority over another team member. Although the Scrum Team may include persons with different levels of experience and expertise, every member is treated equally and no person has the authority to be the primary decision maker. Servant Leadership—Servant leaders employ listening, empathy, commitment, and insight while sharing power and authority with team members. Servant leaders are stewards who achieve results by focusing on the needs of the team. This style is the embodiment of the Scrum Master role. Delegating—Delegating leaders are involved in the majority of decision making; however, they delegate some planning and decision-making responsibilities to team members, particularly if they are competent to handle tasks. This leadership style is appropriate in situations where the leader is in tune with specific project details, and when time is limited. Autocratic—Autocratic leaders make decisions on their own, allowing team members little, if any involvement or discussion before a decision is made. This leadership style should only be used on rare occasions. Directing—Directing leaders instruct team members regarding what tasks are required and when and how they should be performed. Laissez Faire—With this leadership style, the team is left largely unsupervised, so the leader does not interfere with their daily work activities. Often this style leads to a state of anarchy. Coaching/Supportive—Coaching and supportive leaders issue instructions and then support and monitor team members through listening, assisting, encouraging, and presenting a positive outlook during times of uncertainty. Task-Oriented—Task-oriented leaders enforce task completion and adherence to deadlines. Assertive—Assertive leaders confront issues and display confidence to establish authority with respect. The servant-leader is servant first…It begins with the natural feeling that one wants to serve, to serve first. Then conscious choice brings one to aspire to lead. That person is sharply different from one who is leader first, perhaps because of the need to assuage an unusual power drive or to acquire material possessions…The leader-first and the servant-first are two extreme types. Between them there are shadings and blends that are part of the infinite variety of human nature…. Listening—Servant leaders are expected to listen intently and receptively to what is being said, or not said. They are able to get in touch with their inner voice to understand and reflect on their own feelings. Empathy—Good servant leaders accept and recognize individuals for their special and unique skills and abilities. They assume workers have good intentions and accept them as individuals, even when there are behavioral or performance issues. Healing—The motivation and potential to heal oneself and one’s relationship with others is a strong trait of servant leaders. Servant leaders recognize and take the opportunity to help their colleagues who are experiencing emotional pain. Awareness—Awareness and particularly self-awareness is a trait of servant leaders. This allows them to better understand and integrate issues such as those related to ethics, power, and values. Persuasion—Servant leaders use persuasion, rather than their positional authority to gain group consensus and make decisions. Rather than forcing compliance and coercion as is typical in some authoritarian management styles, servant leaders practice persuasion. Conceptualization—The ability to view and analyze problems (or an organization) from a broader conceptual and visionary perspective, rather than focusing on merely the immediate short-term goals, is a unique skill of good servant leaders. Foresight—Their intuitive minds allow servant leaders to use and apply past lessons and present realities to foresee the outcome of current situations and decisions. Stewardship—Stewardship demands a commitment to serving others. Servant leaders prefer persuasion over control to ensure that they gain the trust of others in the organization. Commitment to the growth of others—Servant leaders have a deep commitment to the growth of people within their organization. They take on the responsibility of nurturing the personal, professional, and spiritual growth of others (e.g., providing access to resources for personal and professional development, encouraging workers to participate in decision making). Building community—Servant leaders are interested in building communities within a working environment, particularly given the shift in societies away from smaller communities to large institutions shaping and controlling human lives. Scrum believes that all leaders of Scrum projects (including the Scrum Master and Product Owner) should be servant-leaders who have the above traits. Maslow (1943) presents a need hierarchy which recognizes that different people are at different levels in their needs. Usually people start out looking for physiological needs and then progressively move up the needs hierarchy. To be successful, a Scrum Team needs both core and non-core team members who have reached the esteem or self-actualization levels. The concept of self-organizing teams, which is a key principle in Scrum, requires team members to be self-motivated, and to participate and contribute fully towards meeting the project goals. As a leader, the Scrum Master needs to understand where each person on the team is relative to the pyramid. This understanding will help to determine the best approach to motivating each individual. Additionally, everyone fluctuates up and down the levels in the needs hierarchy throughout life due to their own motivation and efforts to move up the hierarchy or sometimes due to factors beyond their control that may push them down. The Scrum Master’s goal is to work with individuals on the team to build their skills and knowledge and help them move up the needs hierarchy. This support results in a team that consists of individuals who are motivated and strong contributors to the project and to the organization as a whole. Theory X—Theory X leaders assume employees are inherently unmotivated and will avoid work if possible, warranting an authoritarian style of management. Theory Y—Theory Y leaders, on the other hand, assume employees are self-motivated and seek to accept greater responsibility. Theory Y involves a more participative management style. Scrum projects are not likely to be successful with organizations that have Theory X leaders in the roles of Scrum Master or Product Owner. All leaders in Scrum projects should subscribe to Theory Y, whereby they view individuals as important assets and work towards developing their team members’ skills and empowering their team members while expressing appreciation for the work the team has completed to accomplish the project objectives. These were some of the popular HR theories relevant to an organization that practices Scrum. 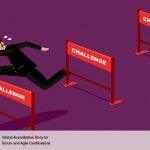 Why HR needs to know SCRUM?